share--16, in fact(!) --all from Miss B's 1st Grade class. Check out our Tips & Resources pages. Did you know, our Tips & Resources page offers great ideas & tools? or what you came up with. 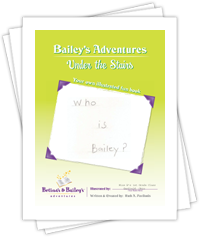 Download our FREE coloring book pages! Use these coloring book pages (pdf) to help get the party started! Click here (then click the image on the next page) to enjoy all 16 images & descriptions. Grab a cup of coffee (or take a break) and away we go! & give the gift of fun! Uncles, and other cool dudes, too! Live in Santa Cruz County & Want to Save Postage? Call in your order: 831.426.6791. We can arrange a convenient drop-off time & location.